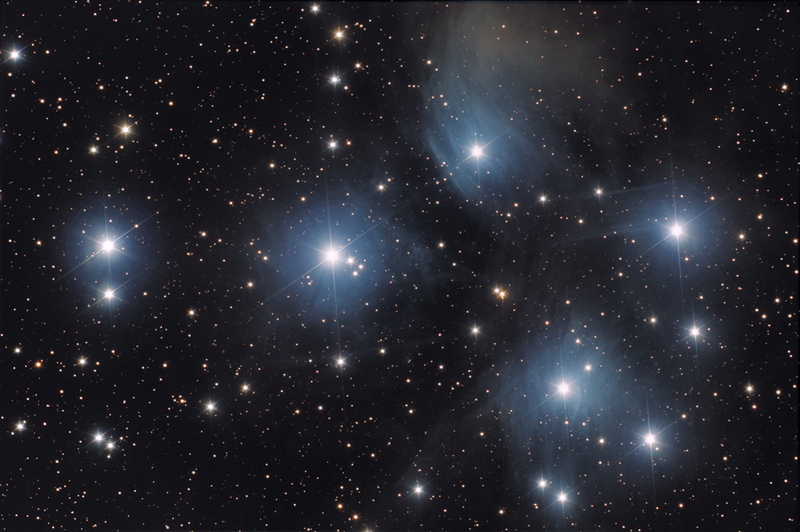 In astronomy, the Pleiades (Messier object 45) are an open star cluster in the constellation of Taurus. The cluster is dominated by hot blue stars that have formed within the last 100 million years. Dust that forms a faint reflection nebulosity around the brightest stars was thought at first to be left over from the formation of the cluster, but is now known to be an unrelated dust cloud in the interstellar medium that the stars are currently passing through.